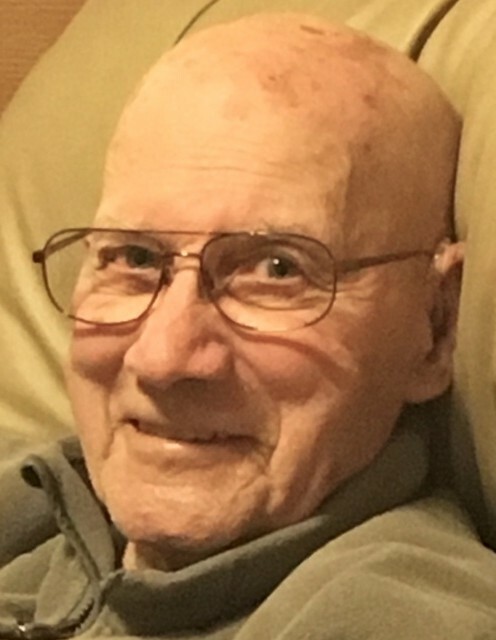 Robert John Dennis, age 94, of Winona, MN, died on Saturday, November 17, 2018, at the Sanford Medical Center in Bemidji, MN, surrounded by family. He was born November 21, 1923, to Ellsworth M. and Genevieve (Palbicki) Dennis, and was the eldest of six children. He married Hope Ruth (Eustice) Dennis on November 25, 1947, in Winona, and they were happily married for 62 years, until Hope’s passing on October 16, 2009. Bob served proudly in the Army 1st Cavalry Division in the Pacific during WWII. He retired from Bay State Milling Company in 1986 after 32 years. He was a wonderful husband, father, brother and friend. He enjoyed bowling, camping, fishing, and was an overall handyman of all things mechanical. He was a member of the Cathedral of the Sacred Heart. Bob is survived by his children: Donald (Linda) of Minnesota City, MN; Gregory (Delores) of Waseca, MN; Michelle (David) Cribb of Walker, MN; and Lisa Dennis of Winona, MN; grandchildren; Holley (Kyle) Smith, Amanda (Chris) Johnson, Leslie (Chris) Madsen, Angela (Derek) Ward, Tiffany (Bob) Bergan, Anne Cribb, and Adam (Missy) Cribb; 14 great-grandchildren; sisters-in-law: Ruth Dennis, Carol Dennis and Betty Dennis; and numerous nieces and nephews. Bob was preceded in death by his parents, siblings: Edward, Ellsworth Jr., Joyce, Charles, Richard; a sister-in-law Cecilia Dennis, and a brother-in-law, Edward Przybylski. Visitation will be held from 3 PM to 5 PM, with a Christian Wake Service at 4:30 PM, on Sunday, November 25, 2018, at the Watkowski-Mulyck Funeral Home. A Mass of Christian Burial will be offered at 10:00 AM on Monday, November 26, 2018, at the Cathedral of the Sacred Heart in Winona. The Very Reverend Mark C. McNea will officiate. There will not be any visitation held on Monday, please meet at the church for the Mass. Bob will be laid to rest in St. Mary’s Cemetery, where the American Legion Leon J. Wetzel Post 9 of Winona will provide military honors. The family respectfully requests that memorials be considered in lieu of flowers. Online condolence or memories may be left for Bob’s family at www.watkowskimulyck.com.